If you want to rank in search engines then backlinks building is pretty much essential. All the backlinks which you acquire are important. Any website who is linking to your site is counted as a backlink. You can link to the sites who are holding high page ranks and authority. When such sites link back to your blog then it contributes more weight-age than a site having low page rank. So instead of gathering 50 links from Pr0, PR1 sites it is much more important to have 2 links from High page ranks as PR8 or PR9. Most of the social media sites are a great backlinks source. They hold high page ranks and definitely are authoritative websites. It is even easy to get backlinks from social media sites through posts and profile bio. 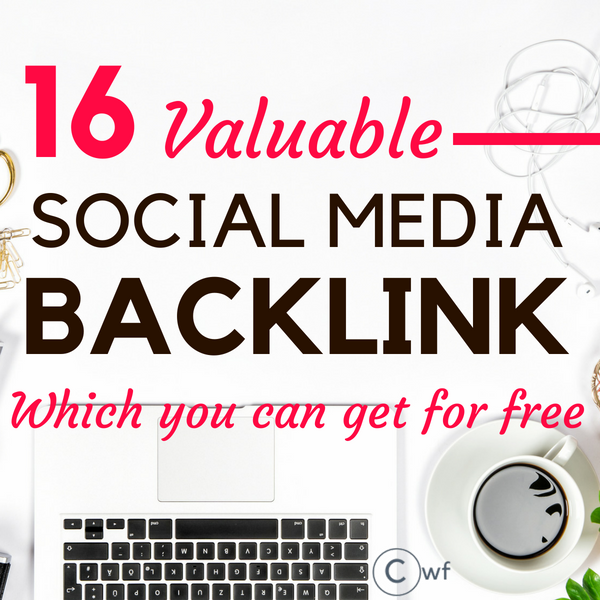 But how much value do social media backlinks have? DO SOCIAL MEDIA LINKS IMPROVE YOUR SEARCH ENGINE RANKINGS? We take into consideration how often a link has been tweeted or re-tweeted, as well as the authority of the Twitter users that shared the link. So Bing clearly stated that it takes the likes, shares, retweets, repins into account as potential ranking factors when it comes from popular and authorized users. This is for obvious reasons as anyone can create multiple accounts in social media and start sharing their own content. So, the authority of users is a vital point. Content which gets massively shared gather backlinks and engagement from users which affect the SEO. It is 2019 and social media is so huge now that the social signals cannot be ignored. Google may or may not use the social signals as ranking factors in the present scenario, but in near future, it will surely be considered for sure, as link these days are mainly achieved through sharing across social media. Whether it is StumbleUpon, LinkedIn, Digg, Reddit, Facebook or others. The domain authority of a site largely depends on the number of quality backlinks it has acquired. To get high-quality link backs you need high-quality sites pointing towards your web page. Social Media does the work very well in pointing backlinks towards your site & hence enhance the backlinks SEO. Organic visitors will always be there as top contributors from search engines but social links cannot be ignored anymore when it comes to website traffic and participation and engagement of users. In the present era when it comes to digital marketing then Social media plays a major converting factor. It is a giant. Social backlinks are very much important for website traffic. When we get a lot of shares and tweets for any particular post then it makes our link trustworthy as well as gives our site immense popularity. 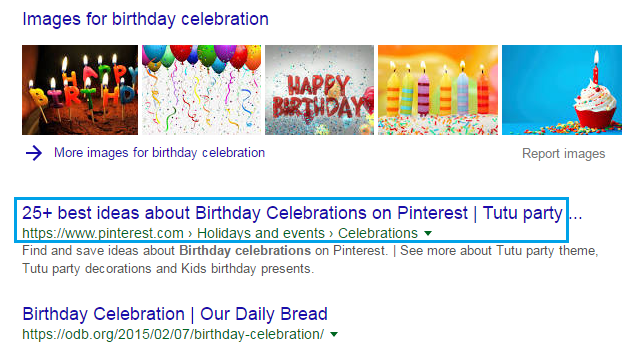 You can see that the very first result of a search engine is a Pinterest Profile. Now you can know the power of social media sharing. Presenting data about referral traffic from social media account. You can see Facebook and Pinterest social profiles directs a good number of website traffic for a given month. There are bloggers who drive millions of page views from their social accounts itself. Social media traffic can be huge if done correctly. Social media marketing is one of the hottest trends which have taken over. These days there are so many social sites and you can grab a backlink from each one of them. The popular ones are StumbleUpon, LinkedIn, Tumblr, WeChat, Instagram, Facebook, and the list will go on and you can add your website link in each of their Profile Bio’s. 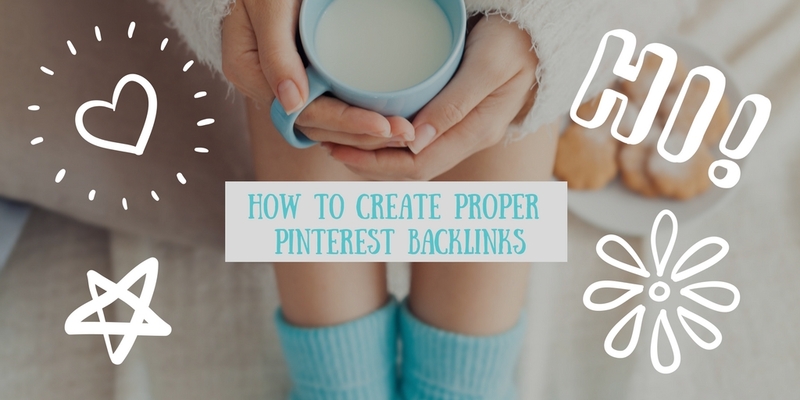 This post shows how to create backlinks from Google Plus, Facebook, Twitter, Youtube, and Pinterest. Starting with Google’s own Google Backlinks. Google Backlinks? Sounds a lucrative offer. Isn’t it? Yes, you can get a google plus backlink very easily. Why only one backlink? You can have multiple backlinks pointing to your site from G+. Is it a no-follow link? Yes, in general, all social media sites gives a no-follow link. But don’t worry. G+ links do not pass any link juice but still, they are helpful in indexing your sites super fast. If you post in G+, a new web page can get indexed within a few hours. If someone comments or shares it then you can even find your newly posted G+ page on the search engine page 2 or 3. Link building involves a lot of smart work if you want your site to be on top of search engines. Google Plus is having a Global and Alexa rank 1 with a page rank of 9. So, even if you get a ‘no follow’ backlink from a high ranking site then your site looks natural to search engines. The domain and page authority metrics are also calculated depending on the number of quality back-links your site acquires. If you want to build an authority site then quality backlinks are very much important. Google Plus is one of them who will provide you with a free high-quality backlink. Click on the About section where you will find Story, Tagline, Introduction, Bragging Line. The first place in G+ allowing you to put your website URL as a link. Next, write an introduction about yourself and you can link back to your website here. You can have multiple google backlinks by posting your site links in different communities. You can put your own website link by Creating a community and editing the community descriptions. G+ works like other social media. Here you can join many other communities in your niche and post your and other bloggers work. Read the community guidelines before posting self-promoting links. The 2nd interesting social media backlink is from Facebook. 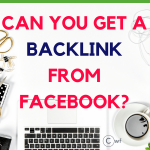 There is a myth about getting a Do follow backlink from Facebook. Study it to avoid misconception. Let us check the other ways to get the link back to our sites from Facebook. Add website link and make it public so that everyone can see it even if they are not in your friend list. You can also add other social profiles in ‘social link’ as twitter, instagram, pinterest, tumblr and many more. 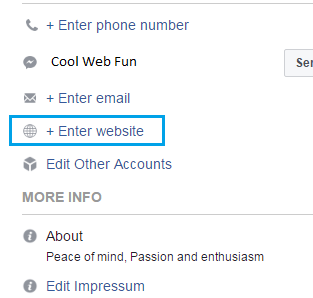 You can put your FB page in your personal profile as the current employer if you are a full-time blogger. This will also give a very good exposure of your site to the people in your friend list. 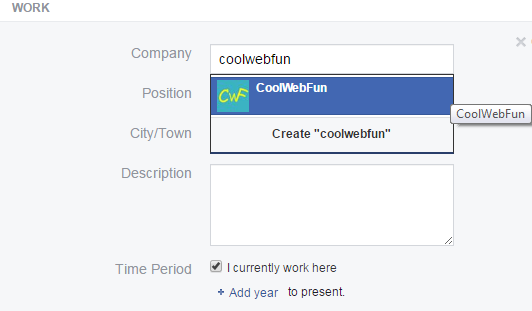 Your personal profile> About Tab> Add a workplace In the Company Name choose your Website Fan Page. You can also link back to your site in the description section. This is the most obvious one as an FB fan page will definitely link back to its original site. Directly you can enter your website link here. It will look like this after linking. 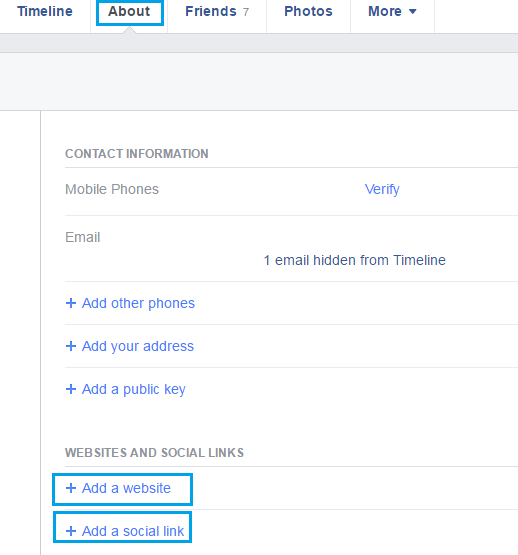 While you post on your FB page, why not add a description linking back to your site. This practice you can do for each and every post related to your site. When we acquire many social links from likes and shares for a particular post, it helps in SEO indirectly. You will see many times that the search engine displays the social media profiles for particular search terms. It has a positive effect on SEO unintentionally. Are you aware of the fact that Twitter is having a page rank 10? Yes, a PR 10. It is having a Domain authority of 100 which is the highest and Page authority of 97 with a Global Rank of 9. So you can definitely figure it out that how much important a back-link from Twitter can be. 3. Go to edit profile on top-right side. 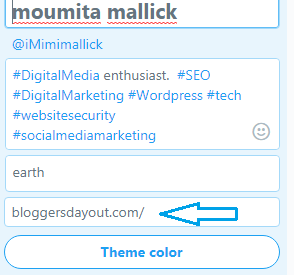 You can tweet posts with a link to specific blog URL. If you post some interesting or funny article in your niche then probably lot of people will re-tweet it. You can get a viral content and several backlinks from a single tweet. It also helps you to improve page authority for that particular post. Master the game of Twitter. Not only for quality backlinks but Twitter can send you massive traffic in a single tweet if you have a good number of followers. In Twitter, while increasing followers and following other people just make sure you follow the right people who are interested in your niche else they will not be keen on your posts. Google owns Youtube. So, when you acquire a Youtube backlink it indicates that your site is important. YouTube is one such quality website with high page rank, having billion of searches every day and it is likely to get better search rankings with YouTube Videos. While high PageRank backlinks are hard to get but you can get a youtube backlink in no time. Getting a youtube backlink is an easy task. But first, you need to verify your account to get the backlinks. Verify your site with Google Webmasters if your site is not verified yet. You need to verify your YouTube account too. Go to YouTube verification and get your account verified. Now Login to your YouTube account using Gmail credentials and get ready to get the YouTube backlink. You will get a Green Success button after your website is verified. This is one way to get a strong backlink from a Page Rank 9. It will take 24-48 hours for Google bot to crawl. You can check your backlink from Alexa site or Moz Backlink Checker or any other sites you prefer. 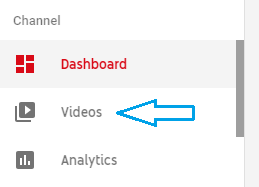 If you have not added any videos to your channel then add a video at first. Now you can add your link to your video descriptions. Click on Edit on any of your videos. Now write the video description and include your site link. To make it a clickable link just add http:// to your URL. This process will give your site another YouTube backlink. Commenting is a well-known process to get backlinks. We can comment on forums and other authoritative blogs to gain the backlinks. So here it the same process, the only difference is that we need to find out the videos in our niche. Then comment on the videos where you think your site can add value to it. Along with your comments add your http:// URL of your site. It will also help you to gain some direct traffic apart from getting a backlink. Pinterest is itself a search engine. People search for the beautiful pins and its related articles daily. People claim to have huge traffic from Pinterest itself. Let us talk about the backlinks now. Pinterest allows a direct website link. To confirm the site you need to Verify your site on Pinterest. 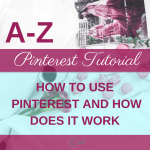 If you have used Pinterest then you would know how to edit a PIN. If you are a total newbie in Pinterest then check the guide to use Pinterest. Save a Pin and Go to Edit PIN. Here you can see that Post URL is included in the Description of the Pin. In the above example, you can see that the post URL must be included in the website section too. Instagram is a very very popular photo sharing application with a domain and page authority of 98 and 90 respectively. 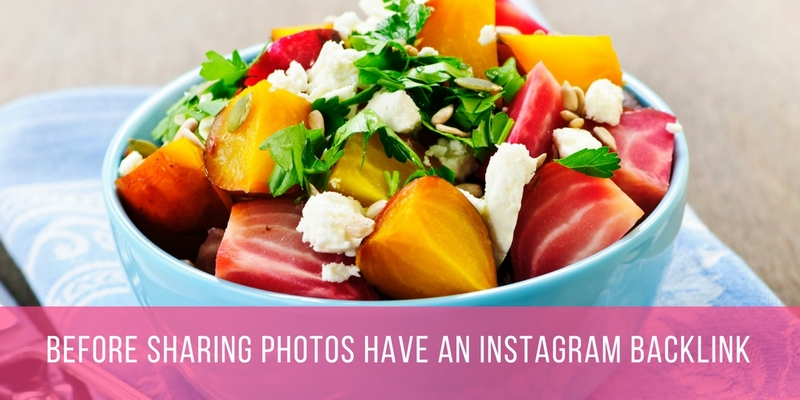 A backlink from Instagram is definitely worth when it comes from a high PR quality website. But there is a drawback in the Instagram backlink. Instagram does not allow you to have a backlink for every photos and video. Instead, you can always use your brand name in the description for making your brand name popular and ask your followers to click on your profile link to be directed to your website. Finally, it will be a clickable link. To get website traffic to your blog start working with 1-2 social media accounts, after acquiring the backlinks from all the social media sites. 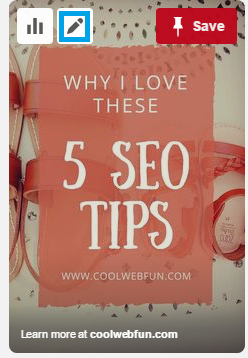 Do not get crazy over driving traffic from 4-5 social accounts if you are the sole marketer for your blog. Concentrate on 1-2 profiles which can send you meaningful and quality traffic. For organic traffic start thinking about link building seriously. To begin with, you can study the basics of SEO. Do not forget to check the On-Page SEO checklist which your competitors can say you about. Backlinks seo are important but do not buy some spammy stuff or do some cheap link building in the hope of getting better search engine rankings. The low-quality links will affect your site negatively. Thanks a Lot for Kind information.. This is an insane amount of fantastic information! Thank you!!! A much needed and helpful post!! You have just managed to break a part of the difficult aspect of blogging down to a more understandable form for most of us. Thanks. This is such useful information. Thanks for sharing! So much information. Thanks for sharing. Fantastic advice! Thank you so much for sharing ?. Hi greate article I have followed all the steps given above, just want to know how many days it takes to update backlinks. It generally takes 25-30 days to update backlinks. If you are using semrush analytics to check backlinks then it takes almost 45 days. Thanks for the details post and specially for the images. I used most of the social medias but didn’t know some of the opportunities. It takes 30-45 generally to update a backlink. Depending on the site you are checking. Like moz updates it once in a 60 days. Semrush almost takes 45 days to add up something new. You can check your backlinks on Search console> Search traffic> Internal Links. Google search console generally updates it within 25-30 days. This is the best post I’ve seen in a while. It’s thorough and I was able to spot errors in my own backlinks. Thank you so much for this well written post. I went through each step and I’m hoping it all works. I’ve had my website up for years and it still hasn’t ranked on Google, but I’m hopeful that this all helps. Thanks for the info, just noticed there are still a few places on my profiles where I forgot to link my website. Its nice article every thing words excellent and get more ideas find backlink ideas thanks sharing this article. I found your website very informative. Learned a lot, thanks. A very nice, informative site for all who are interested in pursuing social media marketing on a professional level. Thanks. Its realy help me. But in google+ account i cant find where to put my website link (Sites tab). You will find an edit icon beside the sites tab. You can put your link there. You seem to really know your stuff from a few things that I have read, and the fact that you’re helping people is great! We need more people like you in the world. Thank you for sharing. Thanks for sharing information. It’s information very helpful. Thanks, Moumita for sharing this article. This article helps me for knowing about Social Media Backlinks. This article helps me for knowing about Social Media Backlinks. Really some very useful ways to get backlinks to your site. Can you please list some good profile creation sites for sofolloe backlinks. Thanks ! 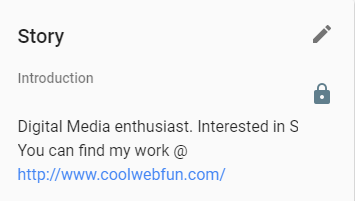 I think it is ‘dofollow’ backlinks you are speaking about. I do not have any personal list ready. But you can definitely check this out. It took me a lot of time to read completely but totally worth it. You just nailed it. Thanks for sharing. Vaivhav, thank you so much for this.